So many places, so little time. Why waste it on package holidays and theme cruises? The world is full of exciting destinations, places where travelers can have game-changing experiences and life-affirming adventures. There are hot spots for nature lovers and beach bums, culture lovers and adrenaline seekers. Here are four exciting destinations that will whet the appetite of any traveler with wanderlust. Safaris can be one of the most exciting adventures you can take while traveling. Kenya Airways recently started offering direct flights from New York’s JFJ, making an up-close experience with giraffes, rhinos, and elephants that much easier. The Fairmont Mara Safari Club is one of the best safari operations in Kenya and a Top 20 Luxury resort by Travel & Leisure magazine. It offers both game drives and balloon safaris over the Masai Mara plains. According to National Geographic, Oakland is one of the world’s most exciting travel destinations in 2019. The East Bay city is famous for its vibrant neighborhoods and multicultural food scene, and in 2017 chef James Syhabout earned the city its first Michelin star with Commis, a small, refined restaurant specializing in seasonal cuisine. Jack London Square and Temescal Alley have recently been revitalized, quickly becoming the go-to districts for nightlife, dining and shopping. Once a part of the Eastern bloc, Lithuania is the southernmost and biggest of the Baltic States. Since Lithuania joined the European Union in 2004, Vilnius, the capital, has experienced a youthful renaissance. It’s a city on the move, full of tech start-ups, warehouse-style music venues and art festivals. But the city’s claim to fame is its 13th century Old Town, where Medieval streets snake beside fairytale-like churches, and underground beer halls are famous for selling the cheapest beer Europe. This post was originally published at JacobBump.net on April 5, 2019. 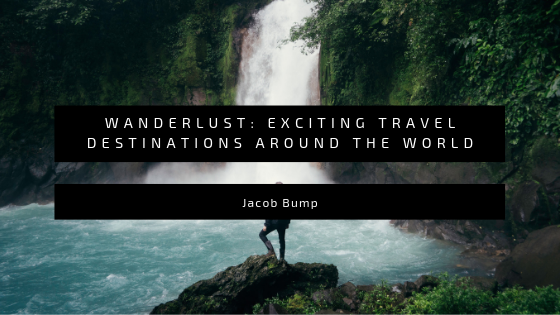 Jacob Bump is an experienced and successful business owner and entrepreneur. He works in real estate construction as a high-end developer with a focus on high-quality craftsmanship. After taking over his father's business, he realized his true passions for business and wanted to continue his education to learn as much as he can. Jacob received his BA in German and Russian studies which spark his interest in international relations and travel.